My crafty friend, Sarah, is the one in the pictures. I had her wear the headband so I could do the photos. (Have I ever told you how bad I am at taking selfies? Really bad. It takes FOREVER to get a good photo. It's much easier to have someone else be in the picture. And then, I don't have to make the effort to NOT look frumpy for a photo. Ha, ha!) 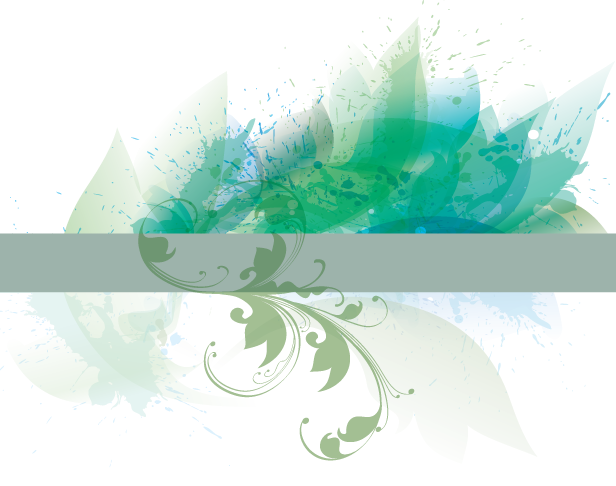 If you want to find out more about Sarah, you can find her on Undiscovered Virtues. 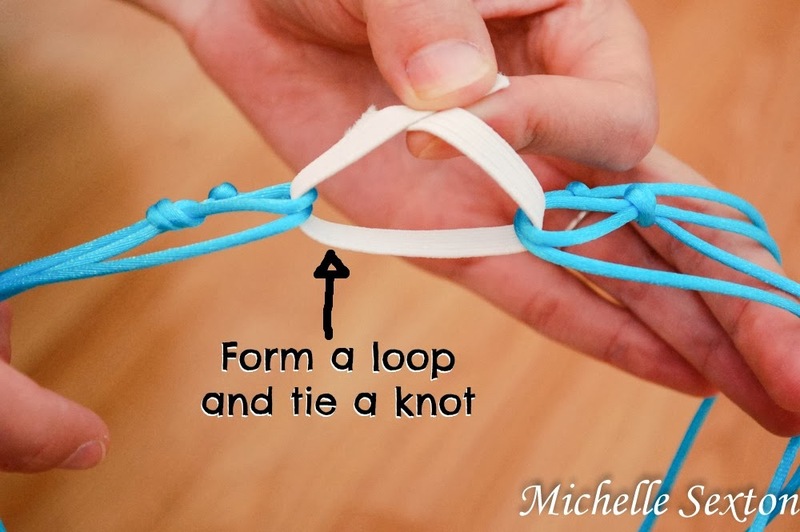 At each end of the cord, form a loop and tie a knot. 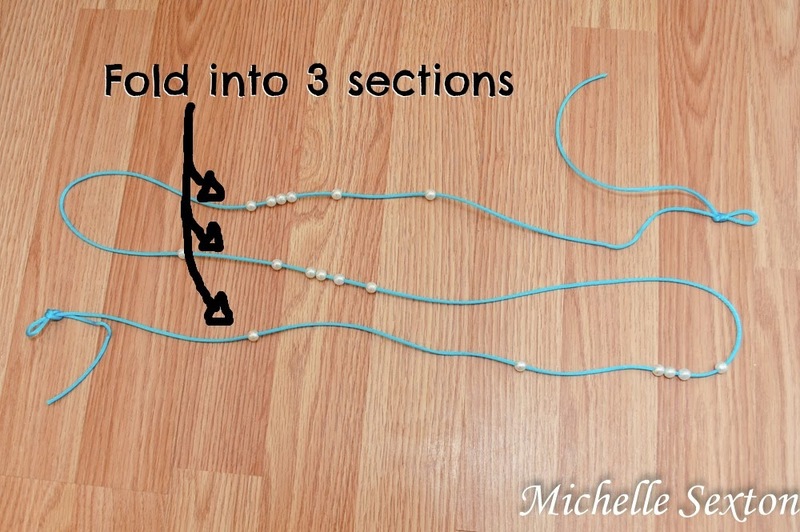 Next, fold the cord into 3 sections, (creating an "S" Shape) making sure to distribute an even amount of beads in each section (6 beads per section). 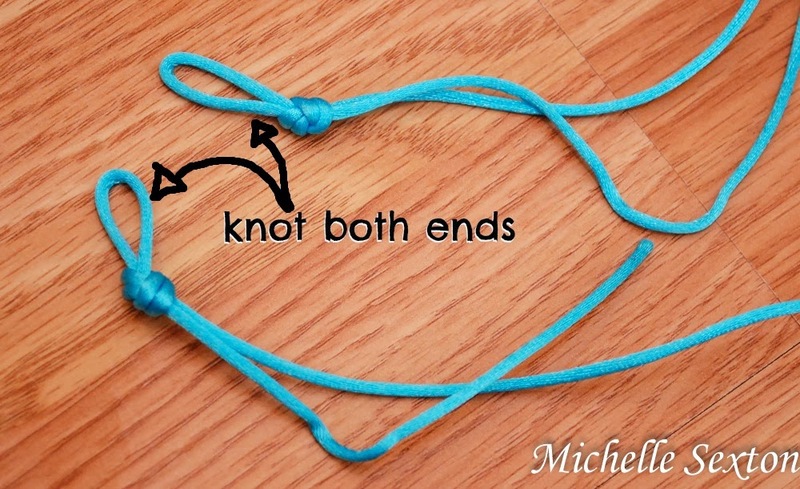 Tie a knot at the end of each section to create a knotted "corner". 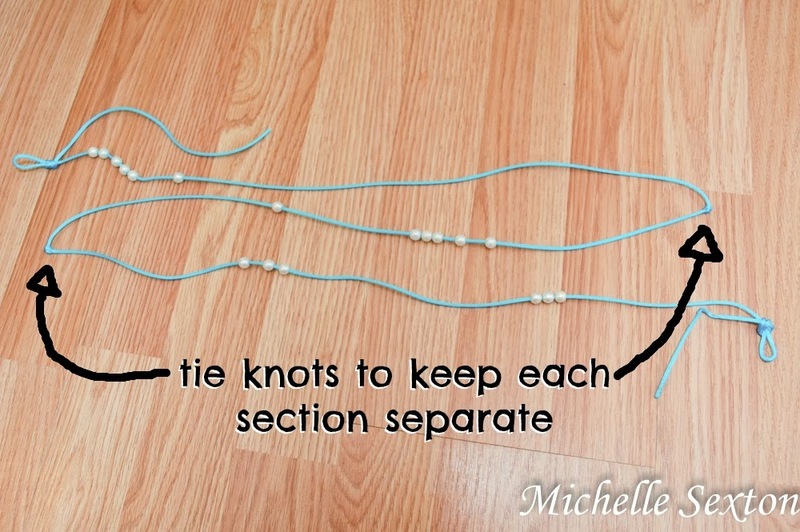 Keeping the sections in the "S" shape (as shown in the photo above), gather the sections together, adding a knotted "corner" to the closest looped end. Repeat these steps on the opposite side. 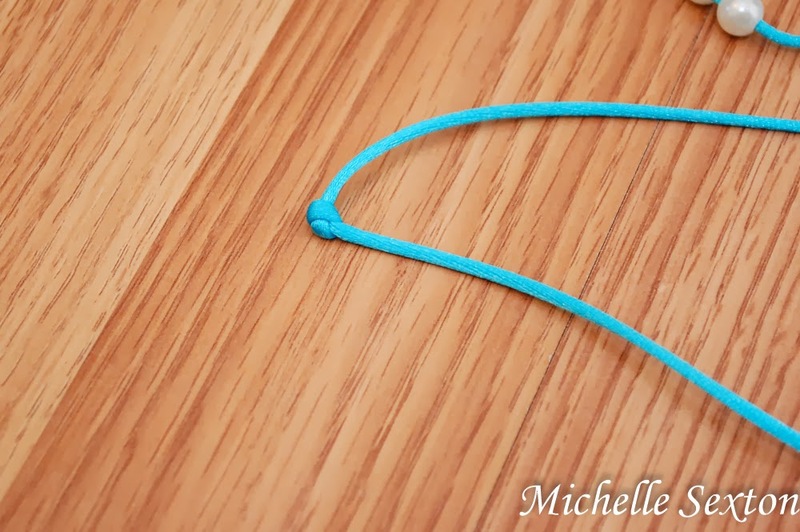 Thread the strip of elastic through each gathered end (each gathered end should have a knotted corner and a looped end) to form a loop, then tie a knot in the elastic to secure it. 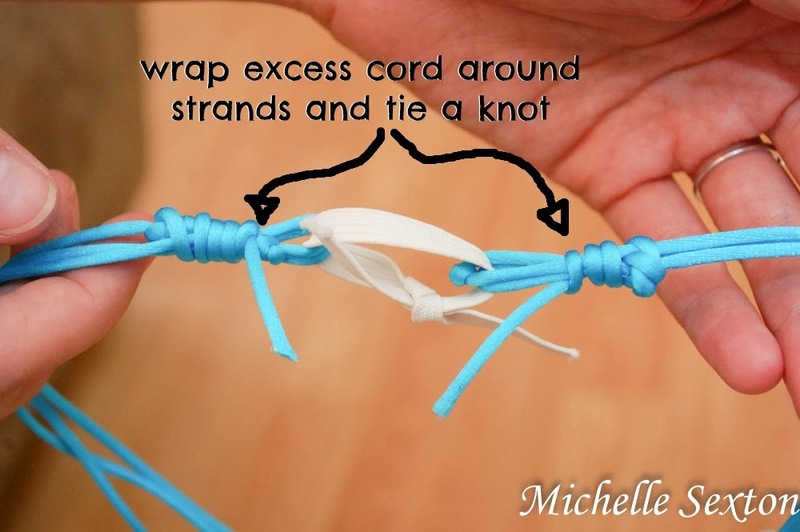 Using the excess cord leftover from the looped end, wrap the cord around the strands and tie a knot. Pull as tight as possible. 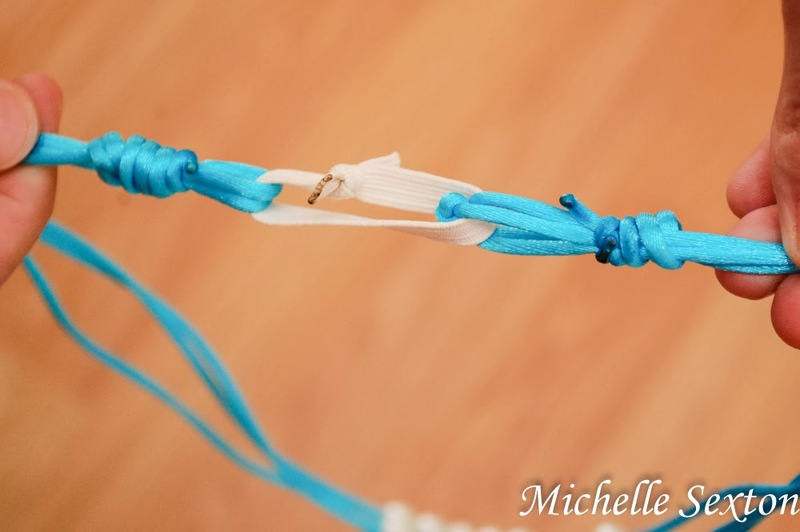 Trim the ends of the elastic, as well as the cord. 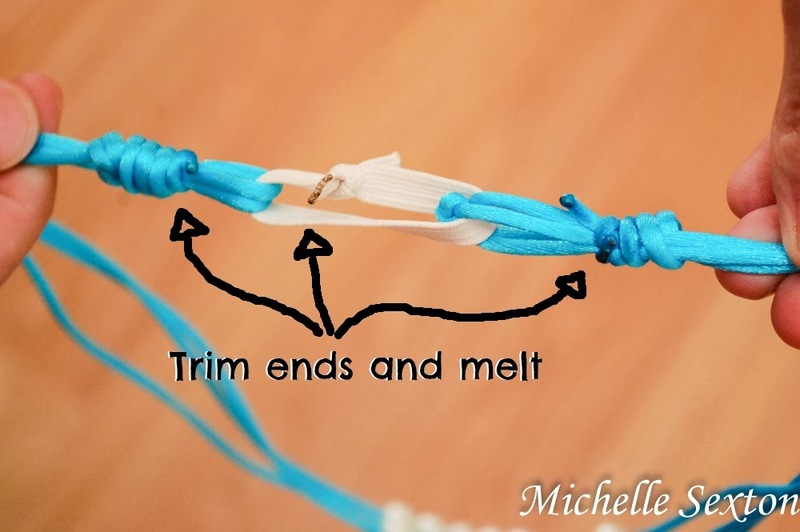 Using the lighter, carefully melt the trimmed end of the elastic and cord, including the knot from the wrapped ends of the cord, to ensure nothing comes unraveled. 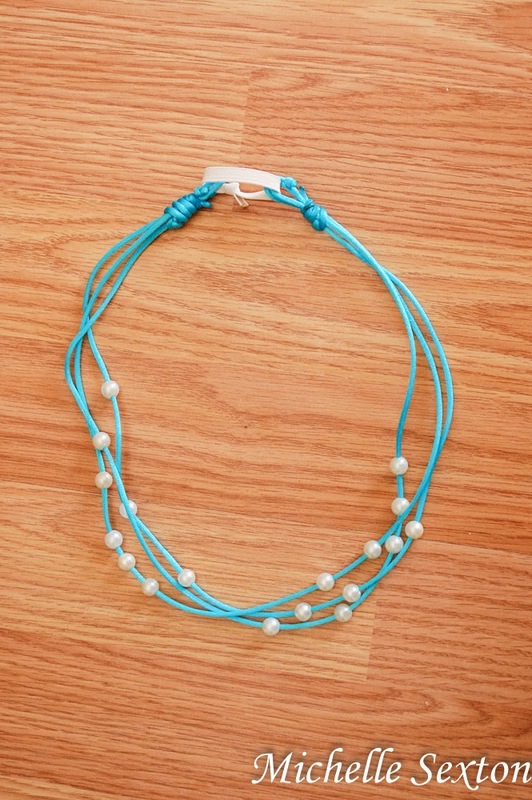 Wear and enjoy the accessory that you created! 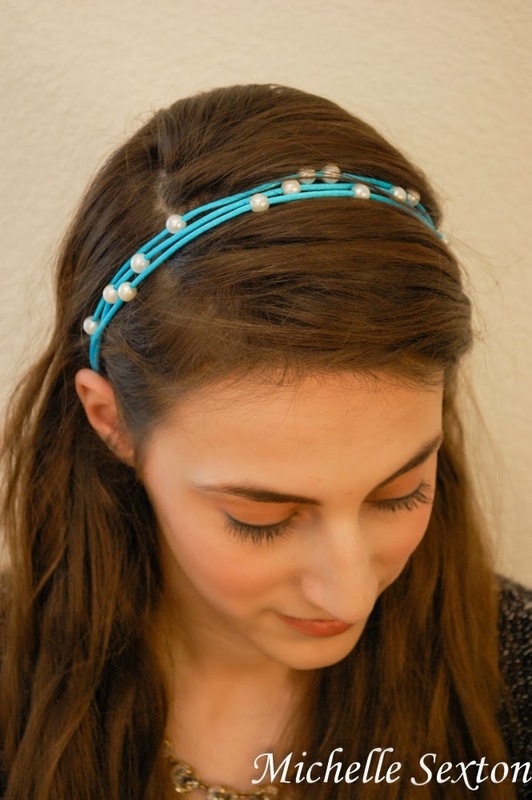 What a pretty headband! 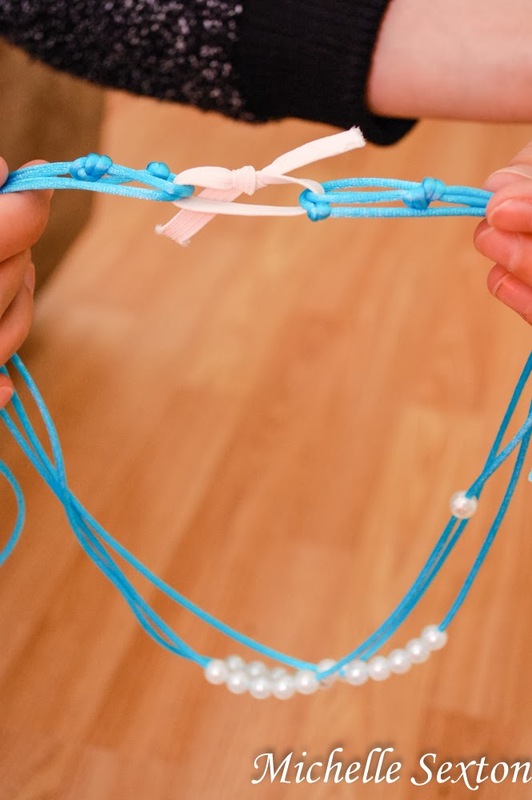 I love that we can move the beads around, changing the design. Thank you so much for the tutorial! 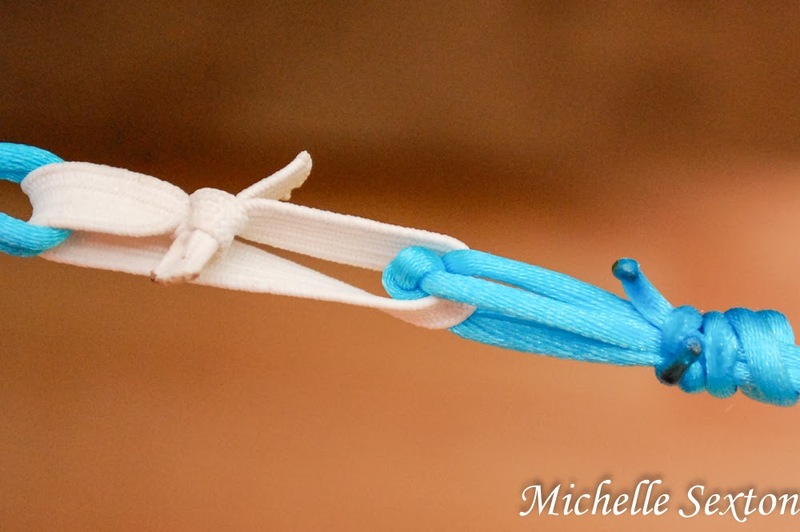 Girl, you had me at no-sew! I LOVE this! 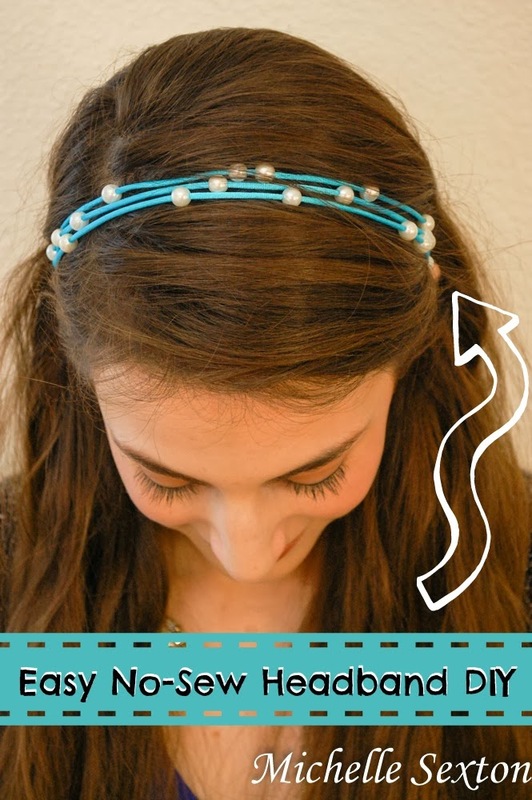 What a pretty way to add a little something to your hair. Gorgeous! Thank you so much for sharing at Hit Me with Your Best Shot! Hope to see you again tonight at 7 EST! Have a wonderful week! Very pretty, and so fun! Love that it's no-sew! Caught your link from the Tip Junkie link party.